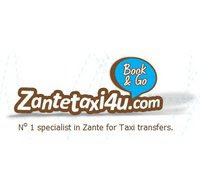 Zantetaxi4u.com offers value for money airport and port taxi transfers to all Zakynthos (Zante) resorts. 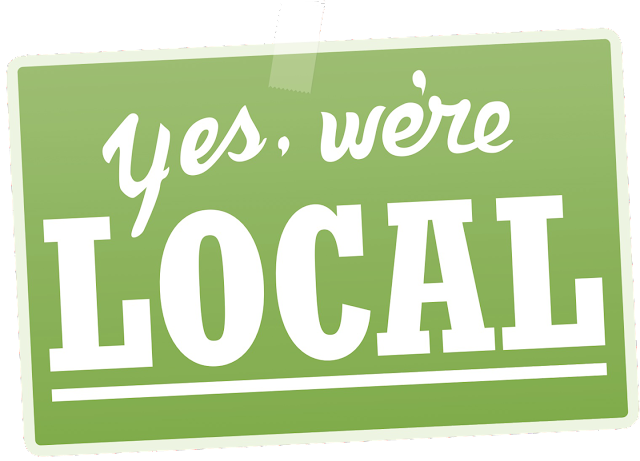 Book with us your airport and port transfer online, it takes less than a minute. 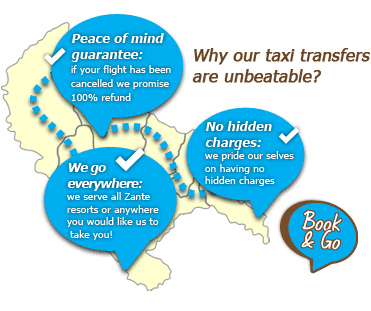 Just choose the location you want to be transferred to, get an instant price, book your transfer online and receive your instant confirmation voucher. It’s so easy & simple! 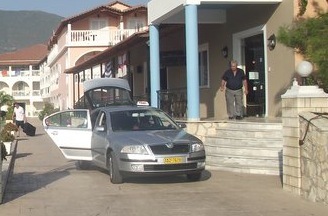 The taxi driver will meet you at arrivals, and he will take you to your chosen destination. It’s a hassle free philosophy. We’re from Zakynthos, and we’re ready to book your next dreamy holidays on our island! Ask us about accommodation, trips and resorts anywhere on this Mediterranean paradise.